Ketogenic diet, vegan diet, paleo diet… we all know the success stories, but what we don’t often hear about the failures. The reality is, a lot of us are following these diets without seeing significant improvements in our weight and physical appearance. When it comes to the ketogenic diet, many of us don’t realize that there is a huge difference between good and bad fats. Dr. Gundry: 00:00 Hey there, welcome to another exciting episode of the Dr. [Gundry 00:00:04] Podcast. The weekly podcast where I give you the tools you need to support your gut, boost your health and live your youngest, healthiest life. 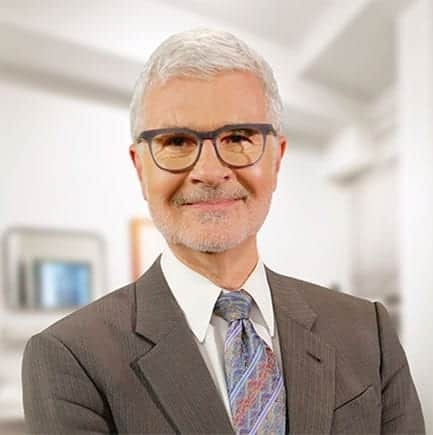 Speaker 1: 00:19 Each week, Dr. Steven Gundry, a cardiologist, medical innovator and author of New York Time’s Best Seller’s The Plant Paradox and The Plant Paradox Cookbook shares the [00:00:30] latest in cutting edge health information. He’s excited to be a part of your unique health journey, so let’s get started. Dr. Gundry: 00:36 Before we get into this week’s episode, let’s take at our review of the week. “I’m so excited about the podcast. Great job, Dr. G, rockstar you are.” Well, thank you very much, [Selvaine 00:00:48] and I glad you’re loving … That’s why we’re doing it, I’ll keep doing it. If you want me to read your review, make sure to rate and review the Dr. Gundry Podcast [00:01:00] on iTunes. Welcome to the Dr. Gundry Podcast, today we are talking about fat. Specifically the type of fat you should be eating for your health and longevity. To join me today, we’ve got Dr. James [Nickeleantonio 00:01:19], boy that’s a good name. Who actually is the coauthor with a brand new book called Superfuel and he’s the coauthor [00:01:30] with my friend, Dr. Joseph Mercolla. Welcome to the podcast today. Dr. D: 01:35 Thanks for having me. Dr. Gundry: 01:37 He’s an internationally known and respected research scientist. He’s actually spent a decade studying the effects of different fats on the body and I might add … I hope we’ll get to it, the effect of salt on the body. You talk about a couple of great controversial topics that I have on the Gundry Podcast. I couldn’t have picked a [00:02:00] better author. Superfuel talks about the ketogenic keys to unlock the secrets of good fats, bad fat and great help. Come on now, your body doesn’t need fat. I mean, Dr. [Esselson 00:02:18] would tell you, you don’t need fat. Dr. [Tecon 00:02:21] Campbell would tell you, you don’t need fat. Come on, doc what’s the deal? Give me the straight. Dr. D: 02:27 Well, what’s interesting is, a lot of people [00:02:30] that are doing a ketogenetic diet also think all fat’s the same. They don’t really decipher really good fats from bad fats a lot of times. The reason why I wrote this book was to really dive deep and try to understand is there a difference between, let’s say, the fat in an avocado or the fat in wild seafood. And let’s say, the fats in bacon or butter and it turns out there is a big difference. So, really that’s what the book is all about, trying to pick the healthiest food that provide the fats that [00:03:00] actually make you a better fat burning machine. Dr. Gundry: 03:04 You mean there is a difference? I shouldn’t eat a stick of butter every day if I’m on a ketogenic diet? That’s not good for me? Dr. D: 03:14 Correct. I’m honestly in asunder of that. A few years ago, I was probably putting too much heavy cream in my coffee and I started gaining weight. So, that’s when I realized, I need to really research the different types of fats to see how they metabolize [00:03:30] in your own body. Just take for example, Omega-3 fats. They actually increase your fat burning genes in the liver. If you and I are sitting here and we’re consuming three or four grams of Omega-3s from, let’s say, fish oil or we’re getting it from wild seafood, we’re literally … Our beta oxidation, our fat burning in the liver, is 20% higher. If we’re exercising, our beta oxidation in our liver or our fat burning goes up by 30%, simply by consuming more Omega-3s. [00:04:00] So, it’s almost like, if you swap out and replace butter with Omega-3s, it’s almost like swapping a V4 engine, for a V8 engine. You are literally more efficient and better at burning fat. That’s just one key that really Superfuel dives into. Dr. Gundry: 04:18 I’m glad you brought up Omega-3s, you mentioned salmon … There’s a lot of confusion, particularly I take care of a lot of vegan and vegetarian patients. [00:04:30] A ton of them use a lot of flax seed oil because it is a short chain Omega-3. When I measure their Omega-3 index, which looks at D.H.A. and E.P.A., it’s in the toilet. They have no D.H.A. and E.P.A.. Tell me a little bit about … What’s the difference between a short chain Omega-3 and a long chain Omega-3 in our health? Dr. D: 04:59 Right, [00:05:00] what you’re referring to with vegans and vegetarians are mostly consuming the plant Omega-3, which is called alpha-linolenic acid. So, our bodies do have an ability to convert that to the longer chain, “Marine Omega-3s,” E.P.A. and D.H.A. but it’s not very efficient at doing that. To give you an example, only about five or 10% of the A.L.A. that you’re getting is going to convert to E.P.A. and only abr 0.5% is going to convert to D.H. [00:05:30] A.. So, unless you’re a woman of child bearing age, you’re not a good convertor of these plant Omega-3s to these marine Omega-3s. Really D.H.A. is one of the most important fats for the brain, every third fat in the brain is D.H.A. and it’s important for eye health as well. So, if you’re not consuming D.H.A., at least from an algae oil … So, you can get it from a, “Vegetarian, vegan type of source.” But it is missed, [00:06:00] I’m glad you brought that up, it’s an important fat that a lot of people aren’t getting in their diet. Dr. Gundry: 06:04 Yeah, and I have my, particularly my vegans, take the algae D.H.A. and it’s just great. But your point, I want to really stress because I bring this up repeatedly in the Longevity Paradox, my new book, that our brain is anywhere from 60 to 70% fat. Of that fat, D.H.A. is about half of that [00:06:30] fat. There’s some beautiful studies in humans, looking at MRIs, the brain size and of the hippocampus size, the memory centers and people who have the highest Omega-3 index have the biggest brains and the largest memory centers. People who have the lower levels of D.H.A. and E.P.A. have the most shrunken brains and the smallest areas of memory. [00:07:00] That goes back, I’m old enough to remember, that my mother said that fish was brain food. So, I would assume that you and Dr. Mercolla would say the same thing. Dr. D: 07:11 Yeah, absolutely. When you think about it, we actually, through an evolutionary time … I go through this in Superfuel. I was almost curious myself, D.H.A. is so important, where would we have gotten it in Africa? How did we obtain D.H.A.? In fact, because animals, [00:07:30] besides hyenas, can get at the skull and the brain of their kills. We had access to this basically great source of D.H.A. that no other animal besides a hyena, could get to. So, there’s sites in Africa where over 2,000,000 years ago where our ancient ancestors are literally just surrounded by cracked open skulls. To give you an example of how high the D.H.A. content is of brain, it’s 30% more concentrated than salmon. So, we have this source of D.H.A. for millions and years [00:08:00] and that’s partly why it’s so important for brain health and why we have so much of it in our brain, is we had a really good access to it. Not just through seafood, but also through literally brain. Dr. Gundry: 08:11 So, you’re not telling me to go eat some brains tonight. Dr. D: 08:14 No, no, I’m not but it goes to the fact that your body has had access to this, “Marine,” Omega-3s for millions of years. So, we’ve evolved on actually adequate intake, even when we aren’t near a coast [00:08:30] line. Dr. Gundry: 08:30 Gotcha. Okay, in general, these long chain Omega-3 fats, we can get from deep water fish, we can get from krill and we can get from molecular distilled fish oil. Are you … Everybody talks to me and they say, “Oh, my gosh, fish oil. There’s tons of heavy metals in fish oil, that’s a dangerous thing.” [00:09:00] Any thoughts on that? Dr. D: 09:02 Yeah, I think there is somewhat of a concern, not really with fish oil per se, a lot of it gets filtered out. I will say, wild seafood, you do need to make sure you’re sourcing it correctly. I mean, there are clean waters in Canada, Alaska, New Zealand in other areas, but there are obviously other areas that are much more contaminated. Kind of my philosophy is, I ea wild seafood twice a week and on days I’m not consuming wild [00:09:30] seafood, the other days, I’m consuming high doses of krill oil to get that healthy astaxanthin, which is a healthy carotenoid. As well as choline, it’s very high in phosphatidylcholine which is important for the brain. Then also, I consume high doses of Omega-3 fish oil, so I combine both of them. But you don’t really need to worry about heavy metals in fish oil. Some fish oils, you might need to worry about the oxidation product, so I keep my fish oil in the freezer to … A real true fish oil will not freeze [00:10:00] in the freezer and it’s … This is what that fish use in their cell membrane so they don’t freeze in cold water. Dr. D: 10:06 People always get shocked at me like, “Dr. D, you put your fish oil in the freezer?” Absolutely, it actually significantly reduces it from oxidizing. So, I wouldn’t more really worry about the contamination of fish oil, I do worry more, a little bit more about the oxidation of it. Dr. Gundry: 10:22 Okay, we’re going to leave fish oil but we got to lay one to rest. This past week, big study once again showed [00:10:30] that fish oil is worthless for cardiovascular health, as well as vitamin D is worthless. What say you? Dr. D: 10:39 Okay. That study was the Vital study and they tested only 840 milligrams of E.P.A. and D.H.A. which is a very low dose, less than a gram of active Omega-3s. We had a study that came out in the same day, the full results came out of the Reduce-it study, where they … I’ve been publishing for a decade [00:11:00] where they weren’t giving a high dose of Omega-3 but in Reduce-it they finally gave four grams of E.P.A.. So, the reduced study did show a significant 25% reduction in cardio vascular events. If you actually look at Vital, there was a significant benefit on the primary end point and those that consumed less than 1.5 fish meals per week. But people that were eating more than one and a half fish meals per week, they didn’t see that benefit, so that makes sense. Dr. D: 11:27 If you’re already consuming fish, adding a little bit of Omega- [00:11:30] 3 fish oil isn’t going to do any benefit. But if you aren’t consuming a lot of fish per week, then you did … There was a significant, about 20% reduction of the primary end point and about a 50% reduction of heart attacks and death from heart attacks, which is very important. Dr. Gundry: 11:47 Yeah and I think that’s really important. The devil is in the details and those of us who write and review the literature, the abstract tells you one thing but you got to get the paper and see what it actually says. [00:12:00] Sensationalism works really good as headlines, so it’s actually far more exciting to say fish oil doesn’t work than to say fish oil is pretty good for you. Dr. D: 12:13 Right, exactly. Dr. Gundry: 12:15 Okay, so we’ll leave Omega-3s, let’s talk about the other fat, Omega-6. Everybody kind of hears you got to have a balance of Omega-3 and Omega-6, or Omega-6s are bad for you. [00:12:30] Give me your take on Omega-6s. Dr. D: 12:33 Yeah, I think if you’re getting Omega-6, which is linoleic acid, it’s a parent Omega-6 which gets eventually converted to arachidonic acid as it gets elongated in the body. If it’s coming from whole foods, that’s okay because the whole food, like in a nut or a seed is going to have a coating protecting that very unstable Omega-6 fat from oxidizing in the acidity of your stomach. [00:13:00] It’s going to have vitamin E to protect the linoleic acid or the Omega-6 from oxidizing. Nature is very smart, it packages highly unstable fats in a seed or a nut or some other type of substance and puts vitamin E there. The problem is with these heart healthy vegetable oils, they have been already oxidized because you can’t just squeeze a cotton seed or you can’t squeeze a soy bean and you get a lot of oil out of it. It requires heavy machinery, mixing [00:13:30] solvents, hight heat. Dr. D: 14:00 … animals. It actually grows the bacteria that produces LPS, whereas if you gave the animals omega-3, the bacteria that would thrive was bacteria that didn’t produce LPS. It almost goes to show you that this omega-3/6 balance is even controlling your gut microbiome, which when I read that, I was actually pretty shocked. Dr. Gundry: 14:20 Yeah, there’s actually some very interesting work. I talk about in the Plant Paradox that omega-3’s, long chain omega-3’s actually prevent [00:14:30] LPSs from appearing in the bloodstream, partially because they changed the gut microbiome. You’re absolutely right. What about the evil long chain omega fat arachidonic acid? What’s your thought about it? Is evil or did it get a bad name? Dr. D: 14:48 It’s not evil. Your brain is also very highly saturated in arachidonic acid. The problem is that arachidonic acid is also very susceptible [00:15:00] to oxidation. It gets a bad rap, I think, because of that, and also because animal foods have gotten a bad rap which are high in arachidonic acid. As long as you can prevent arachidonic acid from metabolizing and forming its proinflammatory metabolites, which omega-3’s do, then it’s not an issue. There are people with issues that are consuming the linoleic acid creating oxidation in the body and [00:15:30] actually oxidizing the arachidonic acid. Dr. Gundry: 15:32 Yeah, I think that’s a really good point. It’s actually the short chain omega-6 fats. They’re actually the troublemaker that are potentiating arachidonic acid, which you’re right, is the other important long chain fat in your brain. There’s actually a beautiful study out of the University of Texas giving athletes omega-6 fats as a supplement. [00:16:00] These guys actually had better athletic performance, but shockingly, their inflammation levels went down with the addition of these supplements. I think it’s gotten a bad rap, quite honestly, as long as it comes in the whole package. Dr. Gundry: 16:16 All right, so now wait a minute, Dr. D. All these healthy vegetable oils, you don’t mean canola oil as well? I mean, everybody knows how good that is for your heart. Dr. D: 16:28 Well, in fact, canola [00:16:30] oil is healthier than these heart-healthy, quote unquote, vegetable oils because it’s higher in omega-3, but the problem is I still wouldn’t consume it and I certainly would never cook with it because, again, it’s still an unstable polyunsaturated fat, meaning there’s a bunch of double bonds that can oxidize in these fats, whereas animal fats are fully saturated, they don’t have any double bonds that are susceptible to these free radical attacks. If you want to cook with an oil, canola is probably one of [00:17:00] the worst. What actually a lot of people don’t realize is extra virgin olive oil is actually one of the best oils to cook with. Because it’s so high in polyphenols, it completely prevents the oil from oxidizing, whereas canola has virtually zero polyphenol. If you’re going to cook with a nonsaturated fat like coconut oil or butter, which are stable fats, if you’re going to cook with an unsaturated fat, it better have a ton of polyphenols [00:17:30] like extra virgin olive oil or you’re in big trouble. Dr. Gundry: 17:33 Yeah, that’s exactly right. In fact, there are actually very good published studies that olive oil withstands high heat, does not oxidize with high heat. It’s one of the hardest things I have to do to convince my patients that it’s perfectly safe to cook with olive oil. Not only perfectly safe, but it’s one of the better cooking oils. Dr. D: 17:56 It is. They literally just did a study comparing olive [00:18:00] oil to not only coconut oil, which is one of the most highly saturated fats, 90% of it is saturated fat, coconut oil, but also avocado oil as well. Olive oil won. Extra virgin olive oil had the least oxidation products even compared to coconut oil. So it is, I mean, even though it has a low smoke point, a lot of people get this confused. They get confused with smoke point and oxidation. Just because something has a high smoke point like canola oil or [00:18:30] grapeseed oil does not mean it’s not going to oxidize. Dr. Gundry: 18:33 Yeah, that’s exactly right. Canola oil and grapeseed oil, people will often hear the word grapeseed, and they think of grapeseed extract, which is tons of polyphenols. The grapeseed oil is devoid of polyphenols. It’s one of the worst. Dr. D: 18:49 Yeah, it is. It’s got an omega-6 to 3 ratio. It’s like 700:1. Dr. Gundry: 18:55 Yeah, it’s nasty stuff. Okay. [00:19:00] When these oils oxidize, I tell people think of something going rancid or getting rusty. What effect do these oxidized oils have on us? Why don’t we want that in us? Dr. D: 19:16 Yeah. Well, I think it’s important to differentiate oxidation of omega-3 in your body versus omega-6. Actually, your body has to have a signal to tell itself that it’s under attack and that it’s being damaged. [00:19:30] The signal, actually, in most of our cells is DHA. DHA is the alarm system, and so when DHA oxidizes from, in your mitochondria. Let’s say your mitochondria are being attacked or you’re having inflammation in the brain, when DHA oxidizes, it actually turns on the antioxidant response element and that actually upregulates your own body’s endogenous antioxidant systems. Our bodies actually know what to do with oxidized [00:20:00] omega-3. It’s actually the alarm system to upregulate our own antioxidant system. Not so with omega-6. When omega-6 oxidizes, it forms what’s called hydroperoxide and aldehyde. Basically, we don’t really need to know what those are, those are big words, but what they do is they cross link proteins. Basically, they make your proteins not work anymore. Just like there’s something called advanced glycation products. When you cook, let’s say, your meat and you form advanced glycation products where sugars [00:20:30] bond to proteins, these fats, when they oxidize, particularly from omega-6, they basically form basically aggregates with your own proteins, so proteins in the brain. They can form neurofibrillary tangles. I honestly think that the oxidized omega-6’s that people are consuming, it’s literally one of the number one drivers of chronic disease, particularly brain diseases. Dr. Gundry: 20:52 That’s all only happened in the last 50 years when we started eating heart-healthy, right? Dr. D: 20:58 Right. Exactly. Dr. Gundry: 21:00 [00:21:00] Okay. You, I know, and Dr. McCall are big fans of a cyclic ketogenic diet, and the book is very good on doing that. Why not always be in ketosis, and maybe backing up a step, what the heck is ketosis and why do you want to be in that a good part of the time? Dr. D: 21:27 Yeah. Well, I think we want to almost mimic what [00:21:30] we did during our evolutionary times. Really, if we were hunting for an animal and we couldn’t catch it, well, we would be able to then just eat the plants around us. We were always somewhat consuming both animal and plant. We were getting some resistant starch which is important. That feeds your gut bacteria. I think that if you’re constantly in ketosis and you’re never providing your healthy [00:22:00] gut bugs the food that they need to thrive, then they produce their own fats that benefit you, these short chain fatty acids, butyric acid, and it has all these beneficial effects in your arteries and it helps grow colon health in the lining of your gut and all that. If we are more a gut genes and more bugs than we are humans, we also want to feed those guys too. Just strictly limiting carbs to a very, very low amount all the time I don’t think is really optimal for [00:22:30] health. Dr. Gundry: 22:32 You’re not a big fan of carnivore diet. Dr. D: 22:36 Not in particular. Dr. Gundry: 22:39 Describe to me and everybody who’s watching or listening, what’s a typical day like for you in terms of what you eat or even a week plan. I know you mentioned two days a week you’re eating fish or wild shellfish, so give me a glimpse. What’s a [00:23:00] day in the life of Dr. D? Dr. D: 23:05 Probably two or three days a week I’ll have a couple of pastured eggs for breakfast. I think it’s important to get some type of source of choline, so that’s a good source for me as well as there’s some obviously good healthy carotinoids and vitamins in pastured eggs and iodine and all that other good stuff. Like you said, a wild seafood twice a week and usually wild salmon. On days [00:23:30] that I’m not doing that, I make sure to do the omega-3 supplement that we talked about krill and fish oil. I’ll try to eat, if I can, maybe eight to 16 ounces of pastured meat, but it doesn’t have to be. I know some people can’t afford pastured meat or grass-fed meet, and that’s okay as long as you’re boosting your omega-3 content through either the wild seafood or the supplement. Besides that, some vegetables, some type of resistant [00:24:00] starch, cooked and cooled potato is usually what I go with to feed my healthy gut bacteria. When you cool a potato for eight hours, you literally quadruple the starch, or the resistant starch, excuse me. It literally becomes less glucose and more fiber for your healthy gut bugs. I try to integrate that three times a week. There is some of the foods that I pick. Dr. Gundry: 24:27 What I’m hearing is you’re not consuming [00:24:30] 10 tablespoons of coconut oil every day and another five tablespoons of MCT oil to achieve ketosis. Dr. D: 24:43 Correct. No, I’m trying to use real whole foods, nuts, seeds, too, every now and then. Spinach. I love healthy greens. That’s how I tried to get my healthy fast. It’s really just through whole food. Dr. Gundry: 24:57 Okay. 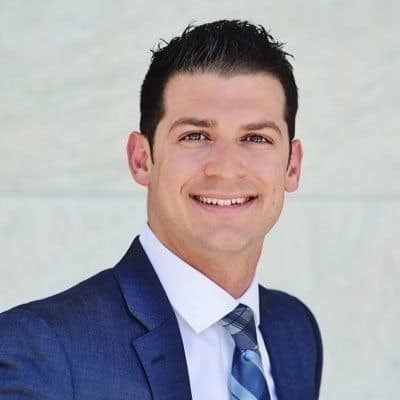 [00:25:00] Joe McCall and I have talked about this. He, to his credit, often goes all the way as deep as he can on a subject and he tried to stay in ketosis constantly. It clearly had some negative effects on him as he found out, and I would have predicted. It certainly goes against what we did evolutionary. We clearly were not [00:25:30] in ketosis every day. How do advise people that you see? How do you strike a balance of going in and out of ketosis? Dr. D: 25:42 Yeah, well, I think a lot of people almost confuse ketosis with fat burning and fat loss. They’re so worried about the number on their ketone levels versus what’s really going on with their own health. [00:26:00] Exercise is one of the best things to induce ketosis. I think the cyclical ketogenic diet that we recommend in Super Fuel, it’s more so upping carbohydrate and protein intake on days you work out. Really, that makes sense because carbs are going to increase insulin which is going to help you grow more muscle when you’re working out. I think a cyclical type of ketogenic diet where you’re integrating more carbs and protein on days you’re working out, it makes more sense. Dr. Gundry: 26:30 [00:26:30] Okay. Let me, in the interest of your time and my time, kind of switch thoughts on salt. You’re the author of the Salt Fix. As a cardiologist and a heart surgeon, I’m constantly bumping up against my colleagues who have taken away all the salt from all my patients [00:27:00] and they’re on three or four hypertension drugs. The first thing I do is basically hand them back their iodized sea salt shaker, and they get this look in their eyes of terror. Am I doing them a disservice? How come? Dr. Gundry: 28:29 Wait a minute. Say [00:28:30] that again. Caffeine makes you lose salt? Dr. D: 28:33 Yeah. Not just water. It doesn’t diurese you, but you lose a ton of sodium and chloride. If you consume just four cups of coffee, you’re going to lose about a half a teaspoon of salt. Then you think about exercise. The average person loses another half of a teaspoon of salt per hour of exercise. The American Heart Association tells you to exercise 60 minutes a day, which is going to cause you to lose a half a teaspoon of salt, but they tell [00:29:00] you to eat less than a half a teaspoon of salt, so right away they’re contradicting themselves. There’s many medications, as you said, people are on … The average adult is on four chronic medications. Most of those are going to be diuretics, diabetic medications, and almost every single one of those are going to cause salt loss. There’s so many people, as soon as they start bringing back healthy salts into their diet, they just feel way better. They don’t get the dizziness going from a seated to a standing [00:29:30] position. Their exercise routine is phenomenally better, but they’ve been scared, again, that salt is bad and absolutely not. Dr. Gundry: 29:40 A point you bring up, I think it’s fascinating. You say that salt will actually reduce your carbohydrate cravings. Am I paraphrasing that correctly? Dr. D: 29:52 Yeah, you nailed it. Dr. Gundry: 29:55 So wait a minute. I’ll put some salt in my coffee from now on [00:30:00] and then I won’t have to have my donut? Dr. D: 30:03 Exactly. There you go. Dr. Gundry: 30:05 Wow, fantastic! Okay. Yeah. It’s really interesting. Some of these myths get perpetrated without a whole lot of scientific rigor. You’re right. I mean, for instance in Palm Springs, if we’re playing tennis in the summer, if we’re not taking salt tablets, we are going to end up [00:30:30] on the ground on the tennis court. Anybody who wants to eat salt, just move to Palm Springs and you can have all the salt you want. Dr. D: 30:40 There you go. Dr. Gundry: 30:41 Not too much of a problem in Rochester in the winter, though. Dr. Gundry: 30:45 All right. You and Dr. Mercola are certainly controversial in saying you ought to eat all these fats. Saturated fats are good for you. Avoid these healthy oils. [00:31:00] What do you say to your critics? Dr. D: 31:03 Yeah. I’ve published numerous papers on this topic. Really, the reason why people are so confused is because evidence was buried and has only recently surfaced in the last few years. The researchers that, let’s say, for one example, one study that just resurfaced from a basement 30 years ago, the results were never published. It was called the Minnesota Coronary Survey. They looked at thousands of patients and they swapped out animal fats for these vegetable [00:31:30] soybean oils and they didn’t get the results they wanted, so they buried them in a basement for 30 years and luckily they resurfaced. Now we know from that study that these heart-healthy vegetable oils actually significantly increased heart attacks upon autopsy. Same with another study called the Sydney Diet Heart Study. Again, there was some data that was buried in that study and that showed the same results. There was increases in death when people switched from animal fats to these high omega- [00:32:00] 6 fats, a significant increase. We have the studies showing now that they’re not heart healthy. They’re actually worse than animal fat. Dr. Gundry: 32:09 Does it matter what kind of animal fat you’re eating? It it okay to go just get a prime steak that’s marbled with fat? Okay, well how come? That’s an animal fat. Come on! Dr. D: 32:25 Yeah. No, you’re right. A lot of people are kind of, especially [00:32:30] carnivore, let’s say. They’re going through Wendy’s, drive-through and eating patties and thinking that’s healthy for them, right? The problem is those patties are probably deep fried in vegetable oils and their sourced from an animal that’s being fed grain, so it’s high in omega-6, low in omega-3. Part of the benefit of this grass-fed meat is these animals are eating grass, so they’re getting vitamin E and beta carotene. You can literally look at the fat and it’ll have like a yellowish-orangish hue to it from [00:33:00] the beta carotene. The fats from Wendy’s burgers versus the fats from a grass-fed beef are much different. There is the nuance, again. We don’t want to lose that in the narrative. There is a difference between where you’re actually sourcing those animal fats. Dr. Gundry: 33:18 Yeah, that’s a great point. I’ve got a good friend, Jimmy Schmidt who’s won three James Beard awards, and he actually manufacturers … He has a bunch of Wagyu beef [00:33:30] that’s pasture-raised, grass-fed, grass finish. The oil he actually gets from those animals is gold in color. He calls it golden oil. That’s all the carotenoids that are in that oil. It’s gold, I mean, really intensely gold and it’s obviously very flavorful. Dr. Gundry: 33:54 If a great chef understands this, who are we to question that, right? Dr. Gundry: 34:00 [00:34:00] All right. Let me just go to that point one more time. What do you say to Dr. Esselstyn when he says animal fat is the root of all evil or any fat is the root of all evil. Do you say … He’s got some very good results that I respect. [00:34:30] Is he just wrong or is that a good difference of opinion? Dr. D: 34:35 Yeah. I don’t think he’s entirely wrong. If you eat bad fats, they’re going to be bad for you, right? Just like if you eat a bad carb, that’s going to be bad for you as well. You can do both bad. You can do a plant-based diet bad and you can do a carnivore or a high fat diet, bad. That’s really what super fuel is about, picking and selecting the healthy fats from whole foods [00:35:00] versus like you said, just chugging butter or chugging down heavy cream and thinking that’s healthy for you. Dr. Gundry: 35:06 Yeah, I think that’s a great explanation of what we’re all talking about. I’ve seen some really bad vegan diets and I’ve actually seen some excellent vegan diets. Same way, I’ve seen some really good high fat diets and I’ve seen some, most of them are disastrous high fat diets. Dr. Gundry: 35:30 [00:35:30] I think if we all just backed up a little bit and said, “You know …” I talk about that in the Plant Paradox, and I think there’s a lot of good things to recommend that we need to pick from everybody’s ideas. All right. Dr. D: 35:45 Got it. Dr. Gundry: 36:19 Well, Gail, quite frankly, your comment is pretty unusual for people on the Plant Paradox program. The the major complaint, if there is one, is [00:36:30] they can’t keep weight on them. It keeps getting lower and lower. That’s actually one of my biggest questions. When I see people in my office who they’re clearly following the program, all their blood markers are good, their inflammation is gone. The one thing that seems to be the common factor in people who aren’t losing weight is they’re eating a lot of resistant starches or they’re eating a [00:37:00] lot of fruit. Unfortunately, as fond as I am of resistant starches for our gut microbiome, there is a limit. For instance, I’ll give you an example. One of my patients was having plantain pancakes three times a day every day and couldn’t understand why he wasn’t losing weight in addition to the other foods he was eating. When we reduced his plantain pancakes to things [00:37:30] he was going to eat on the weekend, the weight started falling off. I’ve had people that eat two or three sweet potatoes every day and when we backed them off to a more reasonable amount … Dr. D, what do you think? Can we eat too many resistant starches? Dr. D: 37:49 I think yes, but I probably bet you that a lot of those people eating the sweet potatoes were overcooking and not cooling them. [00:38:00] I do think if you under cook a potato and you cool it, it is very difficult to gain weight on those types of potatoes because those are just gigantic fiber bombs. But I do agree, if you’re just eating three sweet potatoes every day and you’re not under cooking those and you’re not cooling those before you eat them, absolutely. Dr. Gundry: 38:18 Yeah. That’s a great point. Again, thank you, Gail, for asking. A lot of people that I see, and I’ve made this mistake myself, I want a sweet potato and I forget [00:38:30] and I come home and I throw it in the oven or I throw it in the pressure cooker and then I’m ready to eat. I don’t go to the trouble of throwing it in the refrigerator, and I don’t think often enough to have a bunch sitting in my refrigerator to reheat. A lot of people, you’re right, make the mistake of not cooling, whether it’s the box of Mighty Rice, whether it’s the sweet potato, whether it’s the Jerusalem [00:39:00] artichokes, not cooling them down and then reheating them or eating them cold. Great point. I’m glad you’re on. Gail, thanks for answering that. Dr. Gundry: 39:11 Okay. Dr. D, thanks for being on the podcast. Where can they find you and your books, Super Fuel? Dr. D: 39:20 DrJamesDiNic.com. I just launched that website. They can go and get Super Fuel and the Salt Fix on Amazon. That’s [00:39:30] probably the easiest place to get it. Dr. Gundry: 39:32 Okay. This is out now. It just came out a few days ago, right? Dr. D: 39:37 Yeah, that’s right. Dr. Gundry: 39:38 All right. I’ve read this book. I actually made a recommendation for the book. It’s on the back, if you care to read it. It’s a great book. It’s very insightful. So find Super Fuel and read it. Dr. D: 39:58 Dr. D, thanks again for coming on [00:40:00] the program and everybody watching and listening. This is Dr. Gundry. I’m always looking out for you. We’ll see you next week. Dr. D: 40:09 For more information about this week’s episode, please take a look at my show notes below and on DrGundry.com. In the show notes, you’ll also find a survey, and I’d love to find out more about you. Please take a few minutes to fill it out so I can do my best to provide information you’re looking for. Dr. D: 40:28 Thanks for listening to this week’s episode [00:40:30] of the Dr. Gundry podcast. Check back next week for another exciting episode and make sure to subscribe, rate, and review to stay up to date with the latest episodes. Head to DrGundry.com for show notes and more information. Until next time, I’m Dr. Gundry, and I’m always looking out for you.